The scheduled trainings are ideal for individuals and small groups wishing to enrol on a programme. We offer scheduled training dates for all programmes throughout the UK, which are easily accessed by public transport and the road network. The venues selected are apposite learning environments to ensure that our students have the best possible learning experience. All programmes, delivered by Touch-Learn, have no more than 15 students present, in order for all students to feel valued and be assured of individual tutor support. If you wish to train a group of staff we can bring our training programmes to you at your training venue at a mutually convenient date, thereby reducing delegate rate, travel time and accommodation costs. Please contact Programme Director, Anita Thomas-Epple on 01889 566222 or 07814 624681 for in-house costings and available dates. 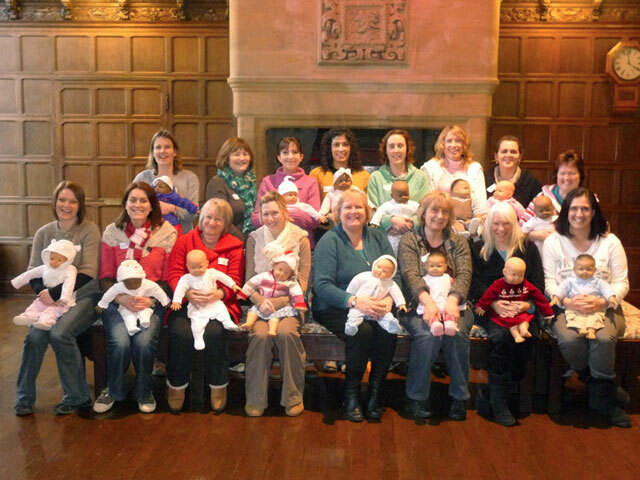 A fully comprehensive programme enabling health and parenting practitioners to become Qualified Infant Massage Teachers. With this accredited, stand-alone qualification you will be able to teach infant massage in an ethical, professional and safe manner to parents in a number of settings in the community. University and RCM accredited course. An excellent programme enhancing skills already gained by Baby Massage Teachers, comprising Yoga stretches, exercises and relaxation for baby and parent. A stand alone qualificaton for early years practitioners wishing to support early communication in infants and pre-school children. Based on British Sign Language. A supplementary programme for Infant Massage Teachers who wish to extend their practice teaching parents with older children, or to facilitate peer-to-peer massage. A sensitive programme aimed at qualified Infant Massage Teachers who wish to offer support to parents with premature babies, or babies with special needs. For Touch-Learn Infant Massage Teachers, this workshop offers continuing professional development to update skills, share good practice and meet contemporaries. For Touch-Learn Baby Yoga Teachers, this workshop offers continuing professional development to update skills, share good practice and meet contemporaries.